We are an arboricultural consultancy business that provides advice and solutions for the management of urban trees. Qualified, experienced and supported by the latest diagnostic equipment our team can assist you with making an informed decision for a single tree through to an entire subdivision, streetscape, or area of public open space. We recognise the multitude of benefits that trees provide to the urban environment and are guided by the philosophy that tree retention is the default option. 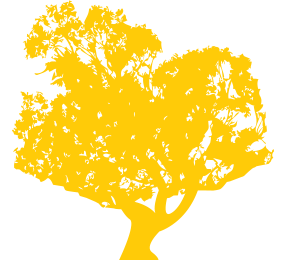 At Bowden Tree Consultancy we do not provide a tree pruning, tree transplanting or tree removal service and have no connection or affiliation with such service providers, thereby guaranteeing our clients objectivity, impartiality and the provision of professional advice free from bias or conflict of interest. We are experts in the field of wood decay detection and evaluation and have undertaken several hundreds of PiCUS sonic tomography tests on a wide range of indigenous, native and exotic tree species, and are best placed to provide the remedial options for the green infrastructure within your urban forest. Our clients include local government authorities, state government agencies, schools and teritary institutions, hospitals and aged care facilities, strata managers and more - in general, organisations that are responsible for the management and preservation of large numbers of trees in the urban environment. For truly qualified advice supported by pertinent local experience please feel free to contact us via phone or email. © 2019 Bowden Tree Consultancy. Login.